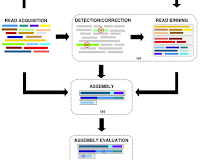 De novo transcriptome assembly is an integral part for many RNA-seq workflows. 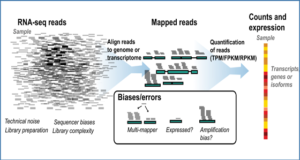 Common applications include sequencing of non-model organisms, cancer or meta transcriptomes. 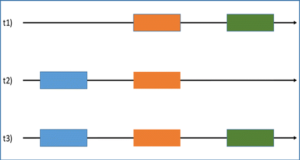 Most de novo transcriptome assemblers use the de Bruijn graph (DBG) as the underlying data structure. The quality of the assemblies produced by such assemblers is highly influenced by the exact word length k. As such no single kmer value leads to optimal results. 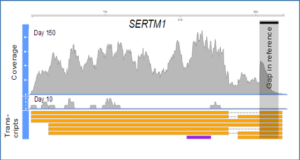 Instead, DBGs over different kmer values are built and the assemblies are merged to improve sensitivity. However, no studies have investigated thoroughly the problem of automatically learning at which kmer value to stop the assembly. 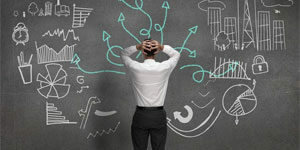 Instead a suboptimal selection of kmer values is often used in practice. 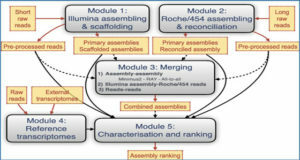 Here, researchers from Saarland University investigate the contribution of a single kmer value in a multi-kmer based assembly approach. They find that a comparative clustering of related assemblies can be used to estimate the importance of an additional kmer assembly. 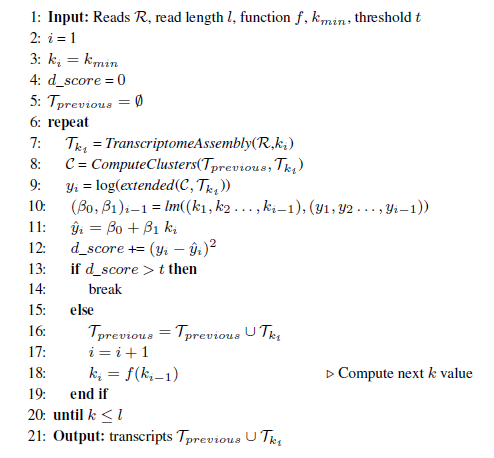 Using a model fit based algorithm the researchers predict the kmer value at which no further assemblies are necessary. The approach is tested with different de novo assemblers for datasets with different coverage values and read lengths. Further, they suggest a simple post processing step that significantly improves the quality of multi-kmer assemblies. The researchers provide an automatic method for limiting the number of kmer values without a significant loss in assembly quality but with savings in assembly time. This is a step forward to making multi-kmer methods more reliable and easier to use.